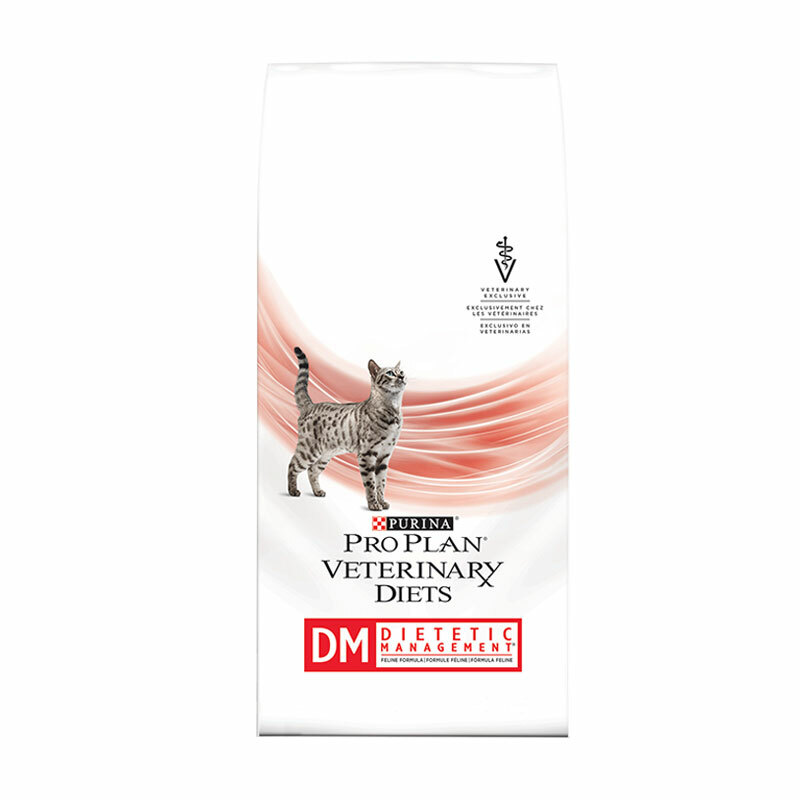 Purina Veterinary Diets DM Dietetic Management For Cats 10 lb bag. Purina Veterinary Diets DM Dietetic Management feline formulas provide complete and balanced nutrition for the adult cat. We have a cat that developed diabetes. Since placing her on this food......NO MORE INSULIN shots needed!!!!!!! A tad pricey, but hey, cheaper than insulin and much more pleasant for our furry family member.